The South London artists contemplates a dangerous allure on her new track. 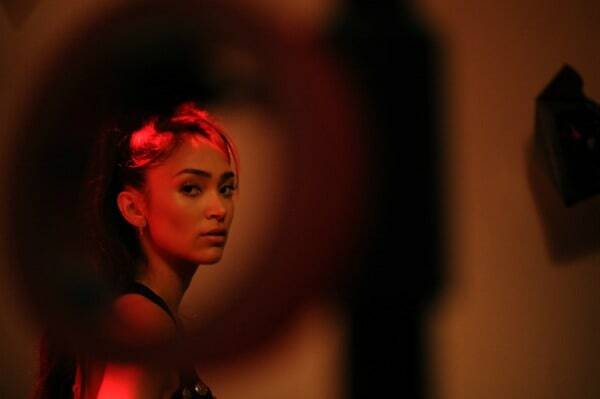 Joy Crookes is a 17-year-old musician from South London, who sounds assured beyond her years on "Sinatra." The alluring tune follows "New Manhattan," and like that first single, "Sinatra" braids trip-hop atmospheres with deeply considered soul melodies and just the right amount of orchestral strings, to give the song's romantic turmoil some sense of stakes. In its most majestic moments, "Sinatra" is like a Bond theme you can smoke to.